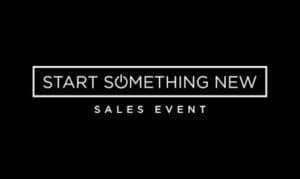 The Dodge Start Something New Sales Event has started at Wabash Valley Dodge! Hurry in and save thousands on a brand new vehicle. Purchase a new 2018 Dodge Charger SXT and save up to $3,000! If you’re interested in this outstanding deal, visit Wabash Valley Dodge today. Serving Wabash, Indiana.